* why she reached out to Heather for help two-and-a-half years ago* why investing in 20 years of weight loss led to her gaining 90 pounds* how she has learned to silence her inner critic to* and more! 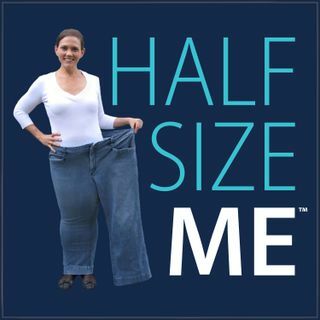 The Half Size Me™ Show is a weekly ... See More podcast meant to inspire you and motivate you no matter where you are in your weight loss journey. If you're just getting started losing weight, or if you've started and stopped so many times you've lost count, this is the show for you!